For many homeowners, finding ways to keep up with the maintenance on their house without breaking the bank can be difficult. There are so many details to think about, from the lawn to the chimney, and it can be overwhelming if you have a large home or are on a tight budget. 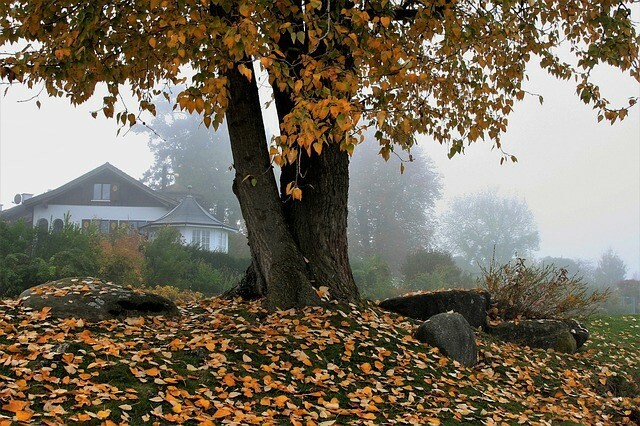 When it comes to getting a house ready for cold weather, however, it’s important to take steps to ensure that it’s sealed up tight and that there won’t be any problems when wet leaves or snow begin to fall. Starting your preparations as soon as autumn hits will help you have peace of mind and will save you some money in the long run. Fortunately, there are many things you can do to get your home ready for cold weather without taking out a loan. Start by making a list of all the things you want to get done; this will help you stay focused and will prevent important items from being overlooked. You can also begin looking for discounts, rebates, and coupons online when it comes to the materials you need, such as air filters or lawn tools. Keep reading for some wonderful tips on how to prepare your home for cold weather. One of the biggest cold-weather issues for homeowners is also one of the easiest to fix. Air leaks around doors and windows can leave you feeling chilly all fall and winter and can unnecessarily drive up your utility bills. Invest in some weather stripping, or seal up cracks with caulk to keep the warm air from escaping and the cold air from seeping in. Sometimes it helps to push on a door firmly and lock it to ensure it’s latched tight against the wind. If you’re unsure of how to find the spots in your home where air is coming through, there are several simple tricks you can employ to help you find the leaks. Depending on the type of HVAC system you have in your home, there may be more than one filter that needs to be changed. When you run the air or heat every day, it’s important to swap out filters about every 90 days to keep them clean, as this helps the system run smoothly and will prevent your utility bills from going up over time. Once you find out the size and type of filter you need, buy a few (or sign up for a handy subscription service to save you the hassle) so you’ll have replacements on hand. Fallen leaves, rain and sleet, and ice can all play havoc on your gutters. Cleaning them out at the end of the summer is your best bet for keeping them in good shape, but it’s also important to maintain them throughout the fall, especially if you have large trees around your home. After you’ve scooped out the leaves and debris, clean the gutters with a garden hose. Don’t forget to check the downspout to make sure it’s not clogged. Preparing your home for cold weather doesn’t have to be overwhelming or expensive. Small changes, such as replacing cracked or missing roof shingles, can help you save money while ensuring that your home works for you. Start with a good plan and work on your to-do list over a few weekends, if possible; this will reduce stress as you make headway. This is all good advice whether you plan to stay in your home or not. If you are looking to sell, we can help you! Just give us a call at 213-215-4758.